Dukascopy Bank is happy to inform that positive dynamic of new MCA accounts opening is gathering the pace. On April, 16 new mark has been set. 823 new clients joined the growing community of MCA account holders. The second option is intended for MCA account holders and their Referrers who had received 5 EUR pursuant to the MCA promotional program before 28/02/2019. 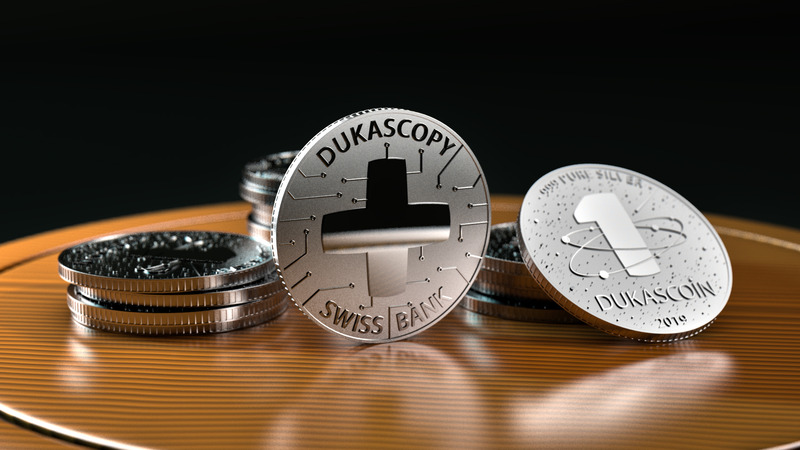 Despite the current market price of DUK+ fluctuating around 0.75 EUR per coin, Dukascopy Bank is following its obligations revealed in the Dukascoin Whitepaper and is offering the possibility to buy 5 Dukascoins at the price of 5 EUR during a period of 30 days starting from the day of this announcement. Clients willing to realize their right during the above mentioned term are invited to send an individual request to crypto@dukascopy.bank with their MCA account details and phone numbers for further processing. Currently, clients who wish to buy Silver Dukascoins are invited to send a request to crypto@dukascopy.bank indicating their MCA account and/or phone number. The special-order form of Silver Dukascoin will be developed and disposed on the www.dukascoin.com website. Dukascopy Bank S.A. is proud to announce that the trademark DUKAS has been successfully registered in Switzerland under the №725155, registration date: December 13, 2018. Swiss intellectual property regulation and protection are well known as one of the strongest in the World. Registration of the trademark DUKAS under such a strict rules is the logical step of Dukascopy Bank S.A. to protect its customers from possible fraudulent practices before the first crypto ICO of Swiss regulated bank. It gives the bank legal instruments to influence the fraud and other unsolicited activities which can occur around Dukascoins and other bank’s crypto products. DUKAS trademark has been registered for services under Class 36 of International Classification of Goods and Services for the Purposes of the Registration of Marks (Nice Classification) and intended to strengthen an existing trademark portfolio of Dukascopy Bank SA for services relating to issuing and redemption of electronic value units and management of such value units through electronic wallets including operation with cryptocurrencies and related activities. Feel free to send your notes, commentaries, proposals and requests to the e-mail address crypto@dukascopy.bank. Dukascopy Europe (EU-based subsidiary of Dukascopy Bank SA) is participating in the London Cryptocurrency Show on April 14th. You are welcome to visit our booth during the exhibition day and meet our representatives in person.